Legendary music icons, Three Dog Night, celebrate their 4th decade bringing with them some of the most astonishing statistics in popular music. 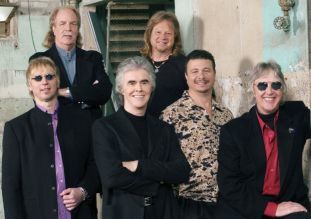 In the years 1969 through 1974, no other group achieved more top 10 hits, moved more records, or sold more concert tickets than Three Dog Night. Songs like “Mama Told Me (Not To Come),” “Joy To The World,” “One,” “Black & White,” “Shambala,” “Easy To Be Hard,” and “An Old Fashioned Love Song,” serve to heighten our emotions and crystallize Three Dog Night’s continued popularity.